Buick is the surprise success story to have emerged from GM’s bankruptcy in 2009. Since then, it has established itself as a top-notch premium brand that managed to lure away customers from the likes of Acura. Beautiful design language inside and out will do that. But like all automakers, Buick’s sedan lineup has taken a beating. The LaCrosse is on its way out and prior to that the Verano was also discontinued. Successors for both are not planned. 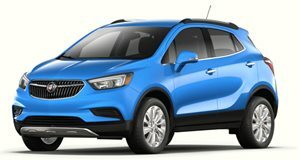 Consumers want crossovers and Buick has several to offer. However, there remains one sedan in the lineup, the Regal, which is also available as a wagon. GM Authority has pointed out that down in Mexico, Buick has not only cut the LaCrosse but the Regal as well. 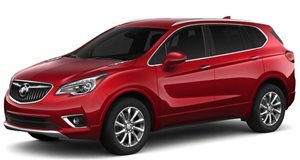 Buick in Mexico is now an SUV crossover only brand and chances are that’ll spread north. The new Regal is a rebadged Opel, a brand now owned by PSA. Without a GM platform mate, there’s little chance of a next-generation Regal. 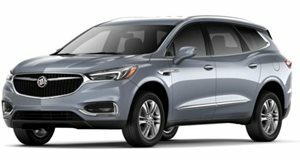 And as far as we know Buick does not have any new sedans in the pipeline. Not surprisingly, a Buick spokesperson refused to comment on future product. Successors to the current Encore, Envision, and Enclave are planned along with a fourth model possibly called Envista. 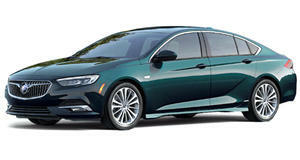 Given GM’s recent cost-cutting measures, which included killing slow-selling vehicles, such as the LaCrosse and Chevrolet Volt and Impala, it wouldn’t make sense to spend the money on another Regal. Last year, a total of 14,118 Regal sedans and TourX wagons were sold. By comparison, 93,000 Encores, 30,000 Envisions, and 50,000 Enclaves left dealership lots in 2018. This isn’t rocket science. 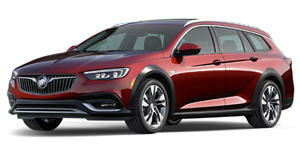 It’s business, and the business case for Buick sedans (and a sporty wagon) is disappearing fast. And yes, this goes for sporty coupes, too. So no, a production version of 2016’s Avista concept is not even being discussed. Anyone who hoped for a reborn Grand National is better off buying a Camaro. Don't sleep on this comfortable and affordable SUV.